CD #1 is a split track with bass on one channel and drums on the other. CD #2 is Bass Only on both channels. CD #3 is Drums Only on both channels. CD #4 is Piano on both channels, bass on the left, and drums on the right. 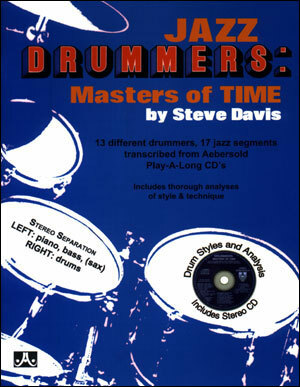 Bassists will love playing with drums-only CD. 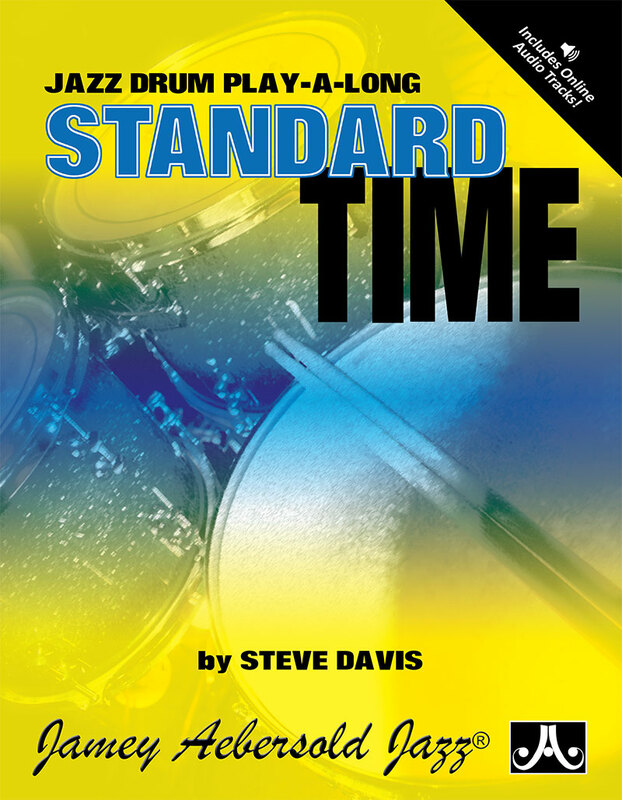 Drummers will love playing with the Bass-only CD. 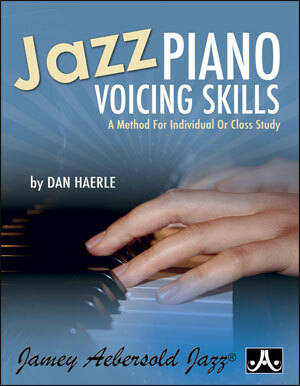 Pianists and Guitarists will enjoy soloing or comping with any of the first three mixes. 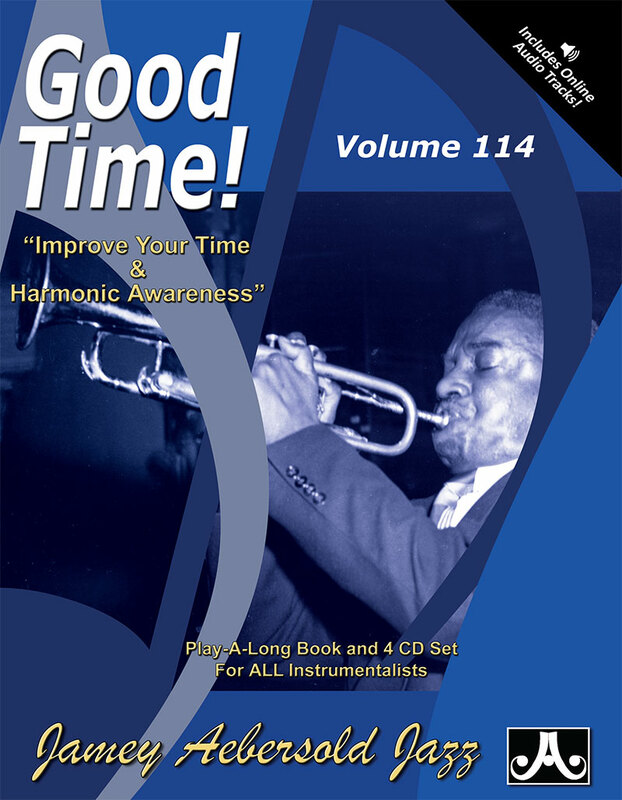 Horn Players will enjoy playing with any of the CDs. 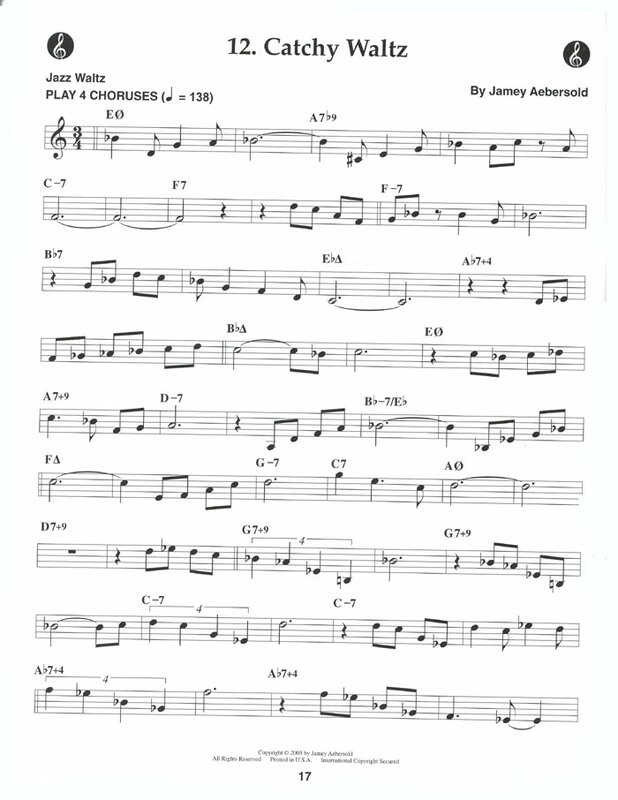 Many jazz groups over the years have had success with pianoless or bassless or drumless groups, such as Gerry Mulligan and Sonny Rollins. 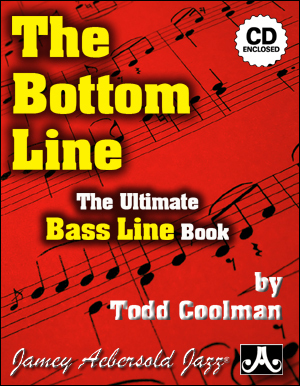 Bass and drum accompaniment (without guitar or piano)leads to better hearing, enhanced harmonic awareness, and an overall freer sound. 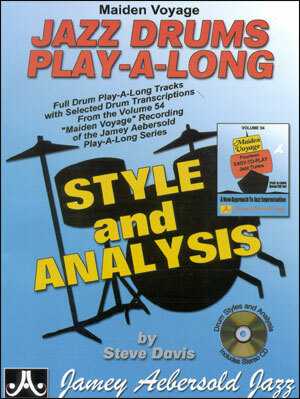 The lack of a comping instrument also allows the mind to concentrate more on playing with a good time feel. This versatile, first-of-its-kind play along is sure to become a favorite. The acoustic, Straight-Ahead Jazz of GOOD TIME! 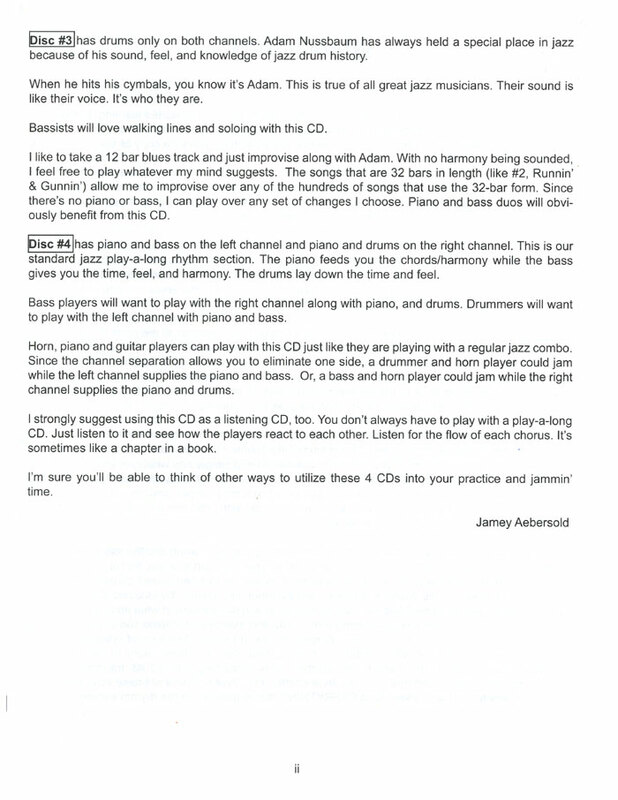 Volume 114 (Jamey Aebersold Jazz, 81 pages, $19.95) by JAMEY AEBERSOLD comes with sheet music, an introduction by Jazz trumpeter PAT HARBISON, and four CDs to play along with in order to learn the concept or to reinforce. 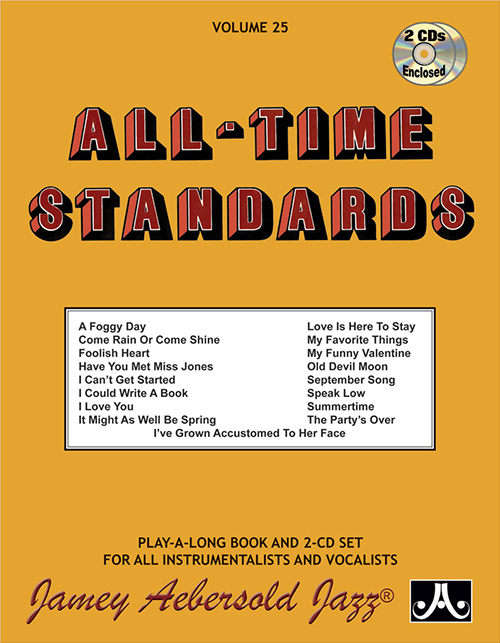 The CDs repeat each of the book’s 15 original songs in different settings: one features bass on the left channel and drums on the right; one features bass on both channels; one features drums on both channels; and the other features piano on both channels with bass on the left and drums on the right. So, you have many combinations to work with. The songs leave a lot of room for individual improvisation, as the music gives the student something akin to what is used on the job. 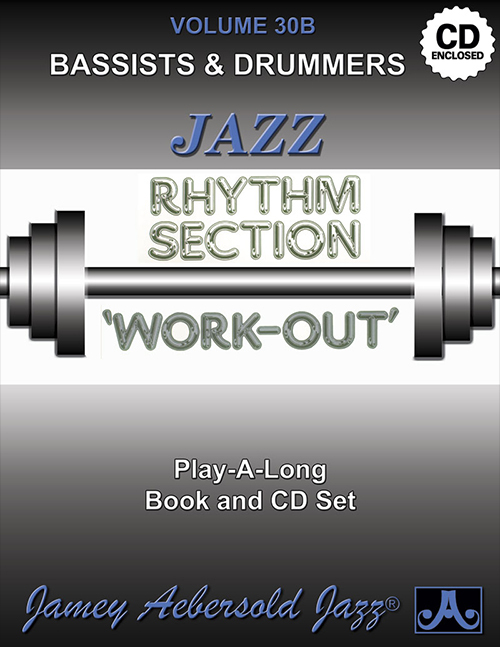 Metronome markings are included, each piece is counted off, and the music is repeated four times in the book, so that the performer has options for treble clef, bass clef, B-flat, and E-flat instruments. 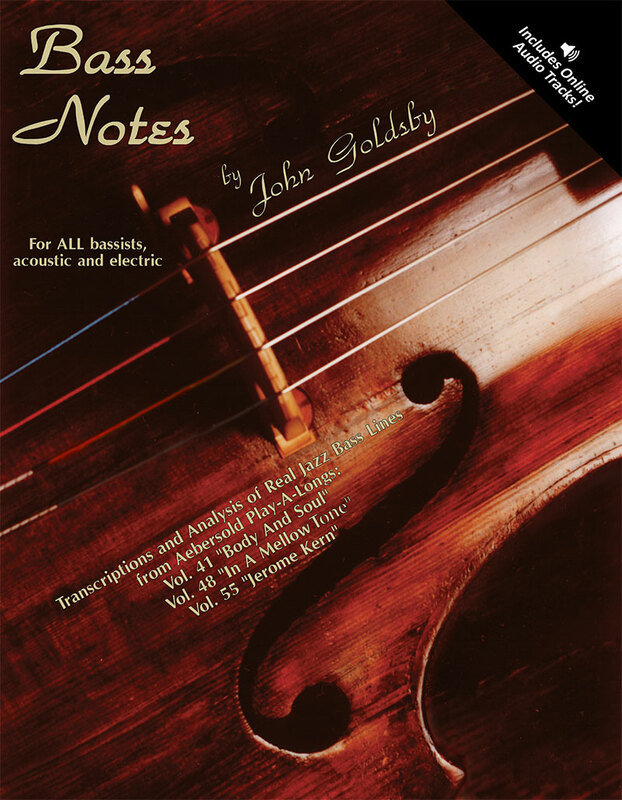 Each has chord/scale progressions indicated, of course, and improvised solo sections are included. 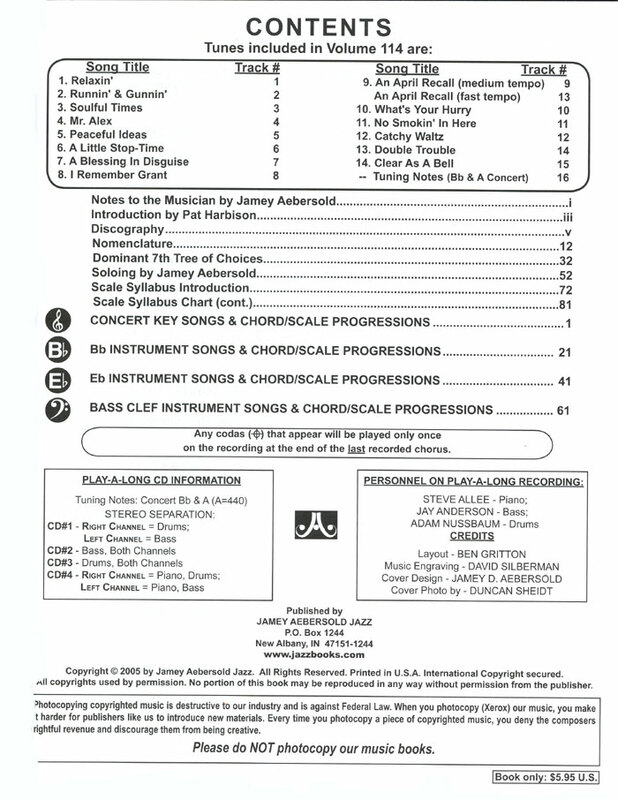 The final track provides the all-important tuning notes. 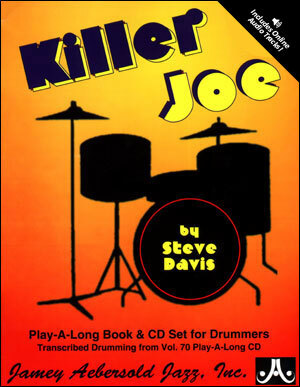 Steve Allee plays acoustic piano, Jay Anderson plays acoustic bass, and Adam Nussbaum provides a superb drum set performance. 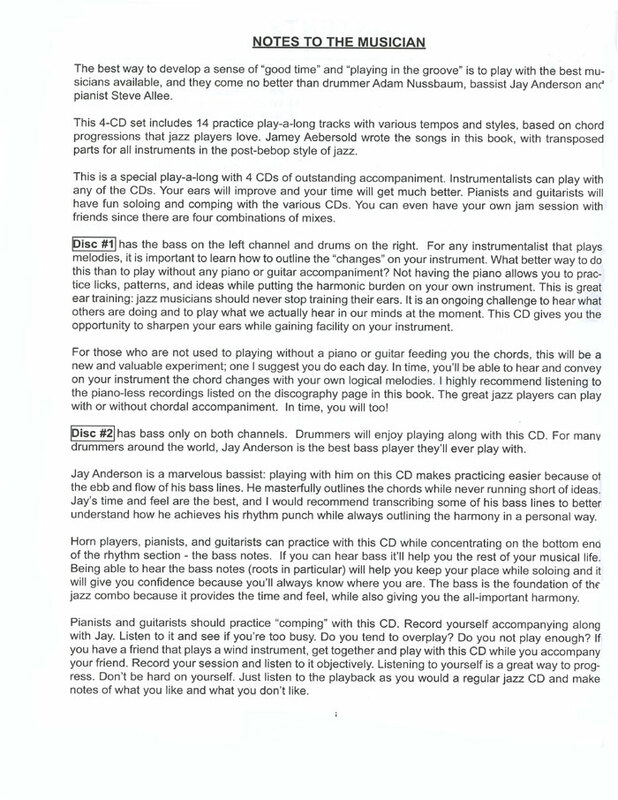 Most students will want to try all four CDs. Working with Nussbaum’s drum tracks gives the student plenty of freedom. The same applies when working alone with bass. Having both gives a complete picture, but having all three affords the most enjoyable practice session. 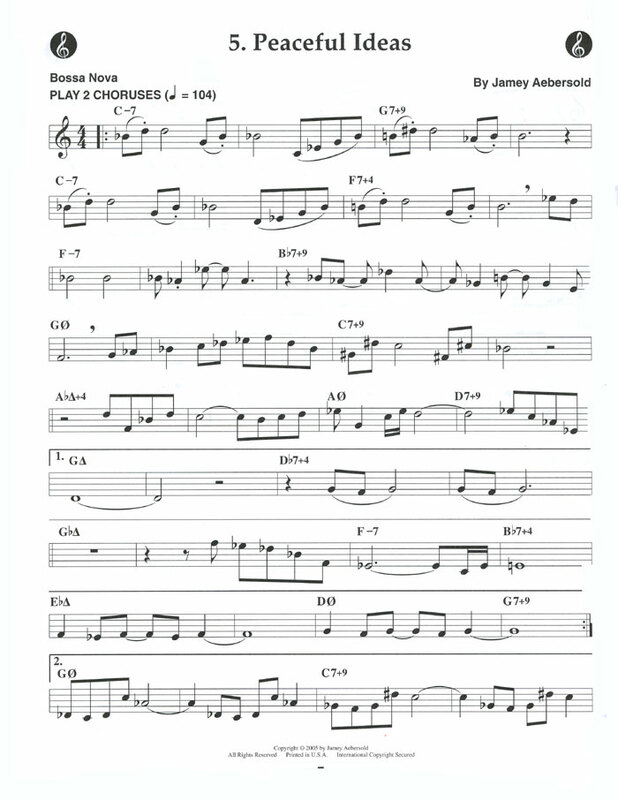 Aebersold’s songs contain a comfortable groove that allows the student to soak up the feeling needed to get on board. Extended practice can be a lonely time. Here, we’re placed in good company. Woodshedding with this Jazz trio is a pleasure.